After a long break, we are now back to a new season of Anifile reviews! Now that the spring season has truly gotten started with most shows heading towards the halfway point of their runs, it’s the best time to get an understanding of the ten shows that we will cover. First off, and the clear favourite as chosen by you, is the fantasy ‘role-play game-esque’ title Dungeon Ni Deai O Motomeru No Wa Machigatte Iru Darou Ka? 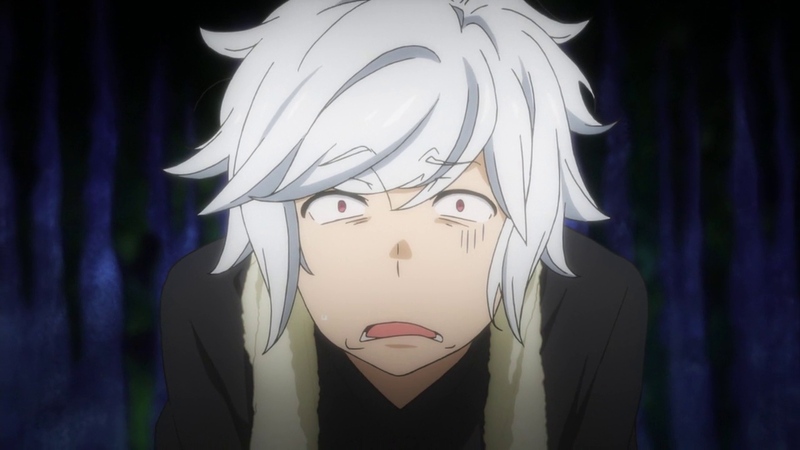 or Is It Wrong To Try To Pick Up Girls In A Dungeon? Fantasy games and series are one of those formulas that never seem to go away. It’s a steadfast fixture in creative storytelling and something that can be easily crafted but hard to turn into a true masterpiece. Shows like Record of Lodoss War and The Hobbit are just two examples that appear off the top of my head. Those titles had rich worlds, compelling characters and a plot which thrilled from beginning to end [Except the latter’s movie adaptation, that was a little long winded!]. 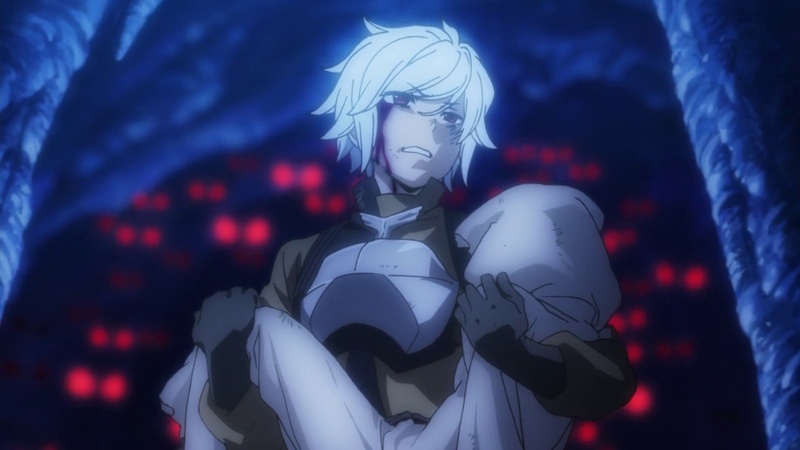 DanMachi tries to take that formula and add a little of the video game world into proceedings whilst maintaining a sort of ‘realism’ with its universe. Our story starts with Bell, a young adventurer who has only just begun his quest to become an epic warrior and do his grandfather proud; that and pick up some girls along the way, which would also make his grandfather proud. Through the wonderful world of flashbacks, we reveal that Bell met a young goddess named Hestia [who was cast out of another familia for being too immature and unable to pay her debts] and have set up their own familia together. One with blackjack and hookers…OK, scratch those. Bell and Hestia work together to build up their reputations with a little help from friends that the amicable Bell picks up along the way. Little does he know thought, that other goddesses have a lot in store for the white-haired scamp. Going back to my previous notion regarding fantasy stories for a moment, it’s quite easy to get bogged down in retreading previous ground that other narratives have trod. DanMachi doesn’t do that thankfully. 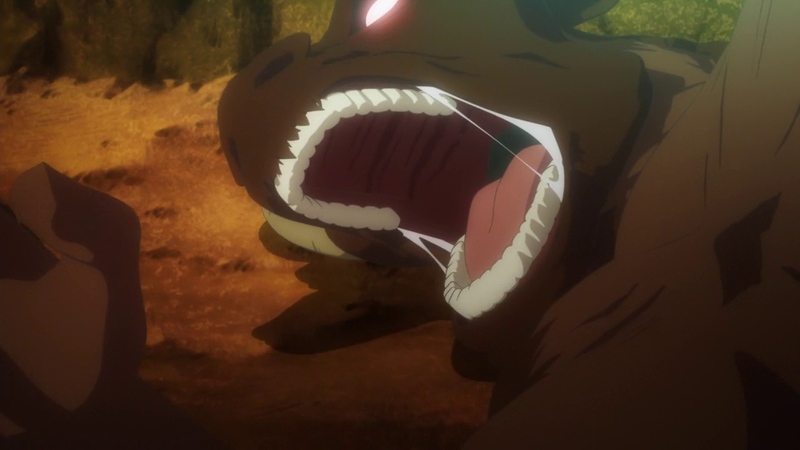 Instead, it carefully sprinkles the traditional tropes throughout its first episode and a little of the second. By the end of the first four episodes, you get a full grasp of how Bell’s world works. With that efficient exposition, we can focus on what makes the show pretty good; and I’m not talking about Hestia’s frontage. Bell is in love with Aiz Wallenstein, a master swordswoman from the rival Loki familia. Her skills are brought to his attention when she saves him from a rogue minotaur and from that moment, his skills were buffed with THE POWER OF LOVE. This being anime of course, Bell has to have a harem chasing him along. We have Hestia, the homely waitress Syr, his support Liliruca, Aiz [Sort of?] and then the goddess/villain Freya. Despite this trope, it’s clear that Hestia and Bell’s bond runs deep as they have a mutual belief in one another which is far greater than most relationships. They never gave up on one another and together they have the chance to do something great. Since Hestia is a goddess, she is unable to use magic directly due to strict rules governing divine beings. However, she is able to imbue a powerful knife with her runic power which taps into Bell’s hidden power and wreak havoc on any foes and therefore opening the path to glory for the pair. I believe that the story is a solid one. It isn’t going to win awards for originality, but it’s a tale which is likeable enough to generate a following. What struck me was the novel way of being able to ‘check your stats’ by using Hestia as a middle manager. It means that she has a use and is intrinsic to Bell’s development instead of being a whiny brat who just so happens to be a goddess. It’s a way of demonstrating her talent and magic without being in your face. She’s also not omnipotent, she’s a young goddess and still has to find a following and gain a foothold in the divine circle she once was a part of with another familia. 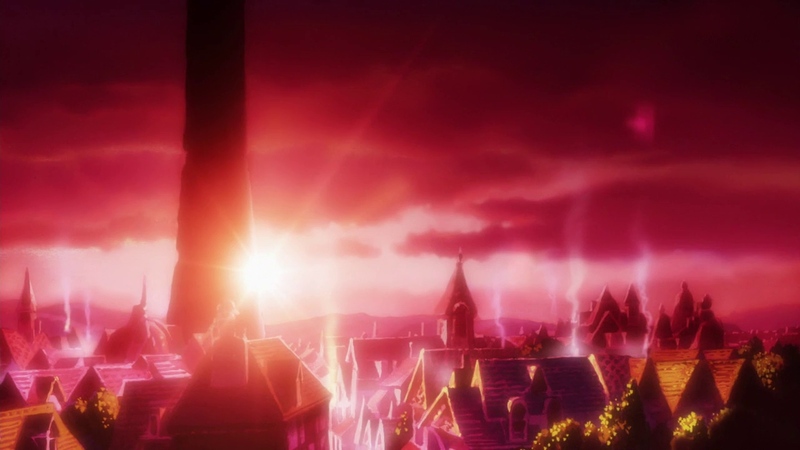 I have to admit that I was skeptical at first given the furore of this anime [for the obvious reasons] but I sat down and took my time to think about this and realised that I want to see this tale through. I wasn’t overwhelmed with plot and nor was I bored with filler. It got the balance right as a light-hearted romp through medieval X-ania. It also helps that JC Staff’s animation prowess lends itself to the visual style of the original source material as it does with most comedic content. It all comes together in a neat looking package with good animation, decent plot progression and interesting characters. My only problem, more concern, is that there isn’t much action going on in some episodes which could perturb some fantasy fans who want to see non-stop drama and suspense; there’s a lot of dialogue going on in between the brief fracas. However, I don’t think that’s a bad thing; I’d much rather get to know characters through meaningful discussions rather than being hurled exposition during a sword fight which seems forced. It’s a matter of preference at the end of the day. Do I like DanMachi? Yes, I do! It’s a far better story than I gave it credit for prior to watching. I can see why all the hype put people off to some extent; it may seem a little vapid based on that first look but I encourage you to stick with it and you’ll find an entertaining fantasy comedy which isn’t hard to get into. You’re not going to be bowled over by high drama, but you’ll get a laugh out of it and that’s all that matters. 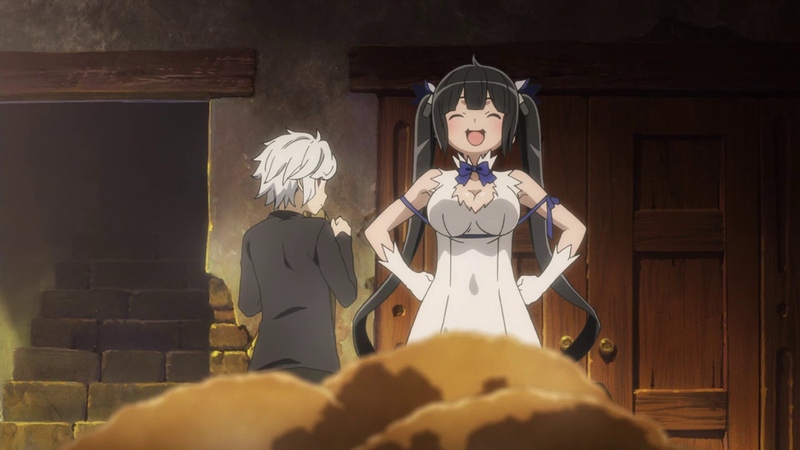 Is It Wrong To Try To Pick Up Girls In A Dungeon? is available to stream on Crunchyroll.